Discover your perfect vacation home just minutes from Disney World with Magical Orlando Resorts in Orlando offering vacation home rentals with private pools, spas and game rooms. Enjoy spacious accommodations with options and amenities to please every guest and every budget so that you can call your next vacation a memorable, magical trip of a lifetime. Enjoy the comforts of this affordable 3 bedroom vacation home with pool near Highlands Reserve golf course. Discover Windwood Bay and enjoy this 4 bedroom vacation pool home just 7 miles to Disney. Affordable 4 bedroom vacation home with pool in Davenport, just minutes from Walt Disney World. Enjoy this affordable vacation pool home at Aviana Resort Orlando, just 10 miles to Walt Disney World. Stay in this 4 bedroom vacation pool home with spa in WaterSong Resort just 1 mile from Providence Golf Course. Enjoy this affordable and well appointed 5 bedroom, 3 bath vacation rental home with pool in Aviana Resort. Book your vacaton at the largest 6 br pool home in the Davenport, Fl area in Solterra Resort. Enjoy your Orlando vacation in a affordable 4 bedroom vacation home with pool at Aviana Resort. Stay in this beautiful five bedroom vacation home near Disney and golf outings at the nearby Providence Golf Club. Reserve your next vacation in this 5 bedroom pool home in Aviana Resort Orlando, just minutes away from Walt Disney World Resort. Enjoy this affordable 5 bedrooms vacation home with pool located in Aviana Resort Orlando. Make memories in this 5 bedroom pool home in Aviana Resort 10 miles to Walt Disney World. Book your vacation in this perfectly located 6 bedroom LARGER pool home in Aviana Resort Orlando, just minutes away from Walt Disney World Resort. This brand new pool home with 5 br Orlando vacation rental is convenient to the Orlando attractions and major golf courses. 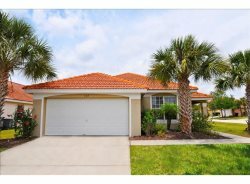 Parks, Fishing, Florida nature in this wonderful Orlando vacation home just a few miles from Walt Disney World. Enjoy your own outdoor veranda in this 6-bedroom with 4 bathrooms Aviana Resort vacation home with private pool and spa. Brand new, 6 bedroom pool home in Aviana Resort Orlando minutes away from Disney! - Sleeps 18! !